What a weekend it was in Vancouver. Wind blowing, trees tumbling, rain falling, and if you were wise, beers drunken (albeit in the dark for some). Today felt like the aftermath of a mini apocalypse. To celebrate surviving the city’s storm of the year, I trekked out to Delta to pay a visit to the Canadian Brewing Awards’ 2015 Brewery of the Year, Four Winds Brewing Company. I don’t know how Four Winds managed to keep their lights on this weekend. The street lights were out leading up to the brewery, and for several blocks past. If there is a beer god watching down on me, I owe him a round. A watering hole in the middle of nowhere, the brewery is an oasis, bustling with beer-goers on a Sunday afternoon. 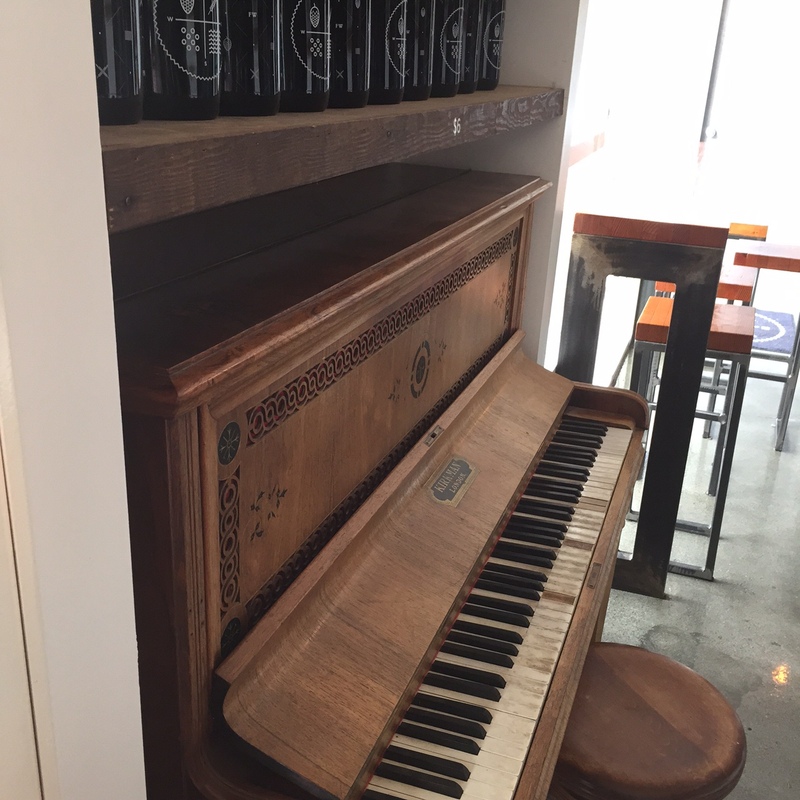 The vibe in the tasting room is fantastic. The decor is classy but not presumptuous. 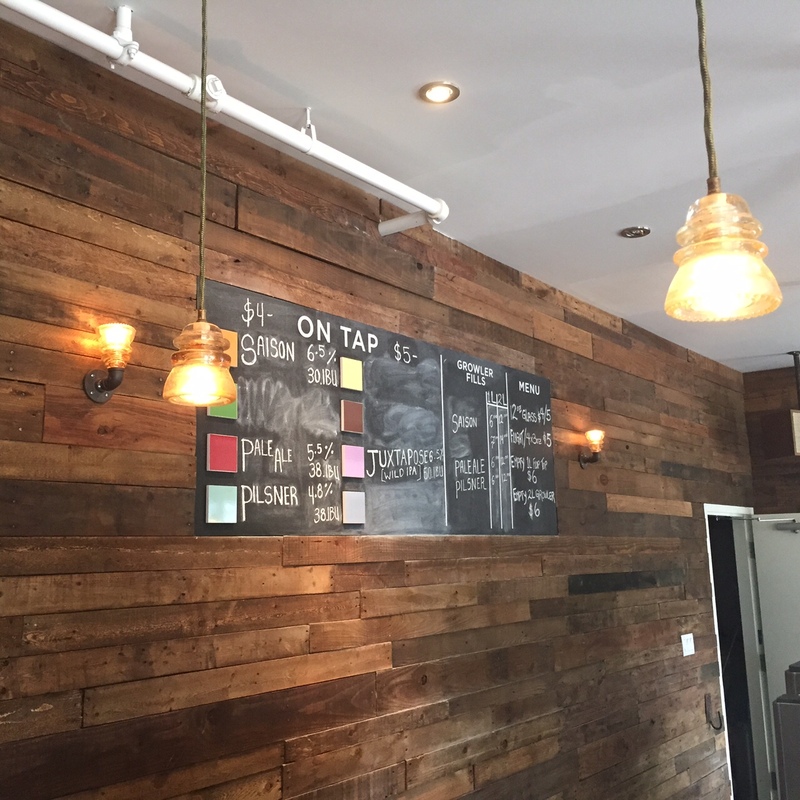 Antique-style lights on rope fixtures hang over a beautiful wrap-around bar. Four Winds merch and glassware is present on shelves throughout. 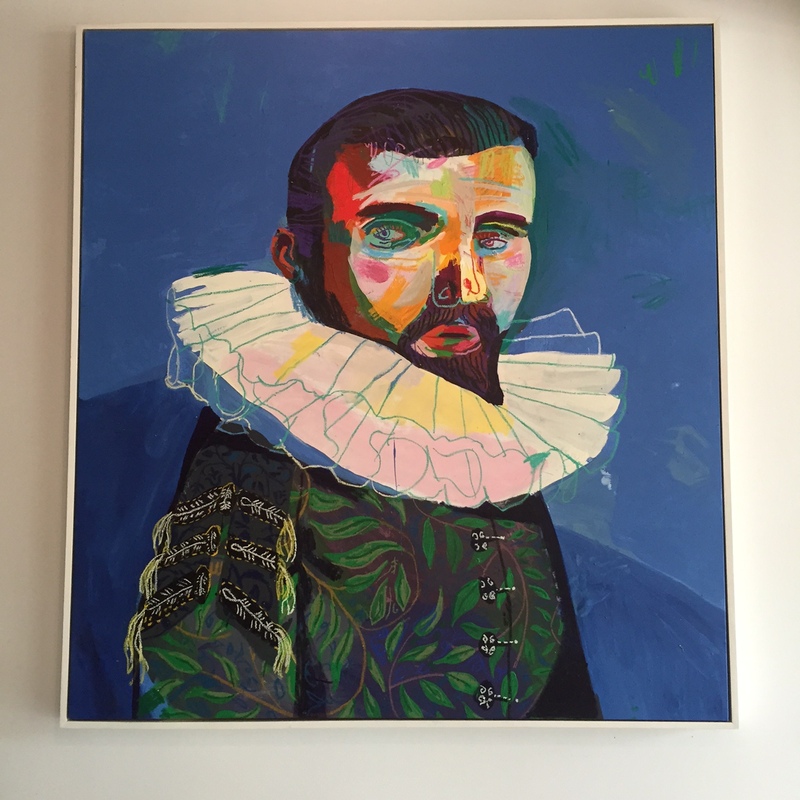 A colorful portrait on the wall keeps a watchful eye. 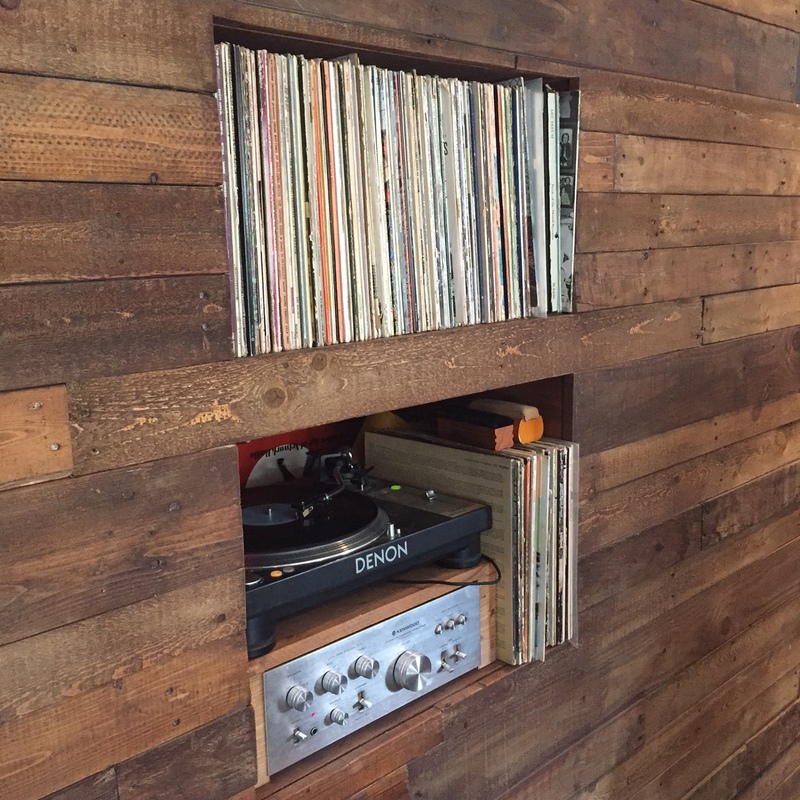 Vinyl sets the mood, with a piano on standby in case someone feels the urge to dabble. It is the perfect setting to relax and enjoy good beer and company. 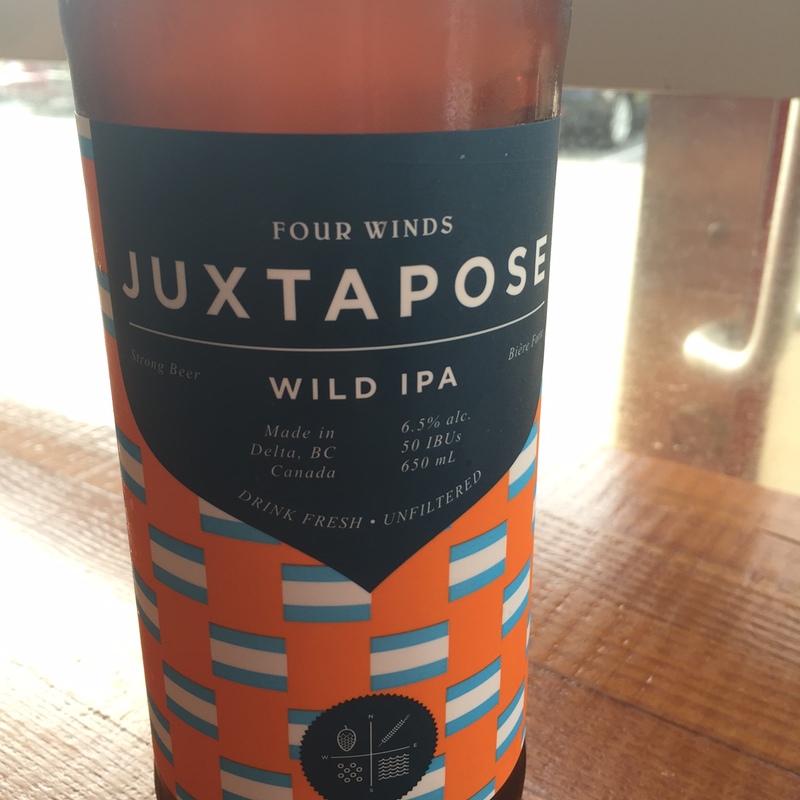 I’ve been eager to try the Juxtapose Wild IPA for a while now, so it was an easy pick. After one sip I knew this beer is the real deal. Made with Columbus, Amarillo and Simcoe hops, with wild yeast, this is one of the smoothest and most balanced IPAs I have tasted. No wonder why this brew has been so widely celebrated, winning the silver medal for American-Style Brett Beer at the 2014 World Beer Cup, and the bronze medal for Belgian/French Beer at the 2014 B.C. Beer Awards. After a glass I couldn’t get enough, so I picked up a bottle for the road. If you haven’t been to Four Winds, I suggest you pay them a visit. Its a little off of the beaten path, so bring a designated driver, or grab a growler fill and hang out for a few before heading out. 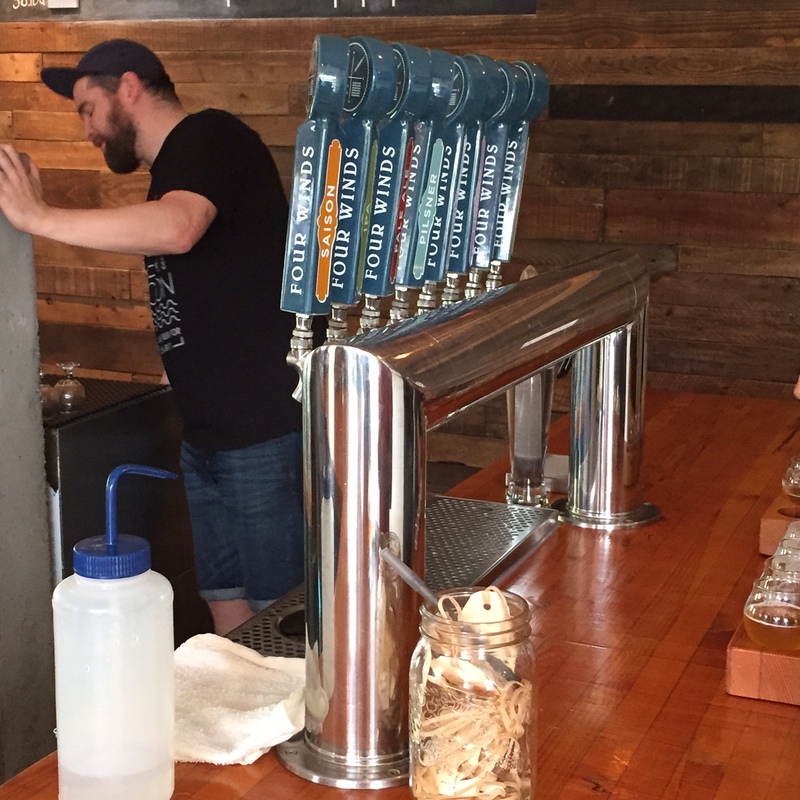 If you aren’t up for going to Delta, you can find Four Winds beer on taps all over the Lower Mainland. Check out the full list here. Below are a few more pictures from today. Cheers!